Recently there were some news articles about the awarding of a $21 million contract to replace the 110-year-old Courtland Street Bridge in Downtown Atlanta. Having made many (unpleasant) trips across its length as a pedestrian, I looked up some info on the project to get an understanding of the scope. The overview map of the project’s length was surprising. This bridge takes up almost four city blocks of Courtland Street. 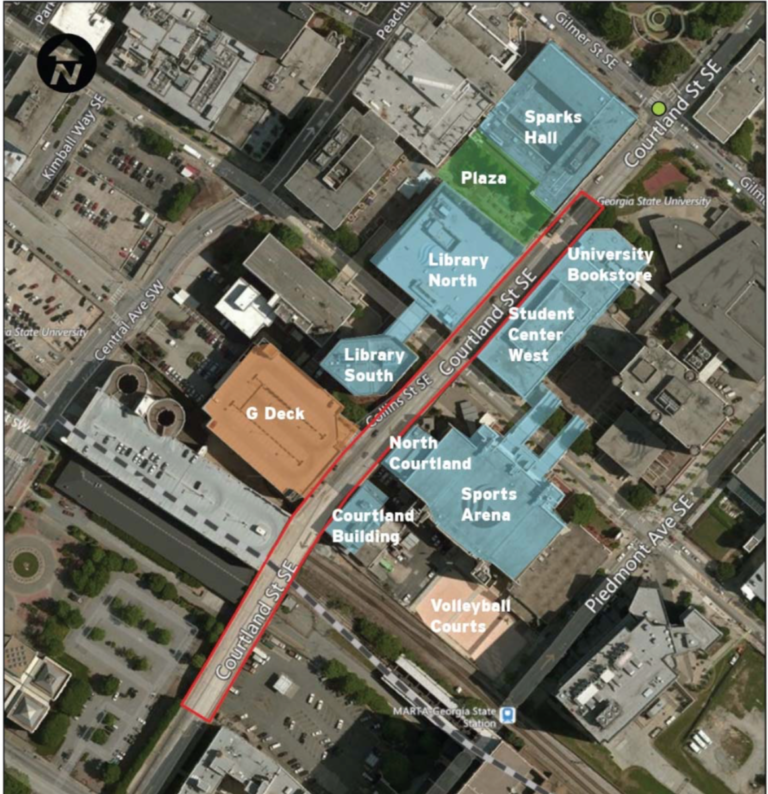 Map of the scope of the Courtland Street Bridge replacement. Source. Any kind of improvement would be very welcome. 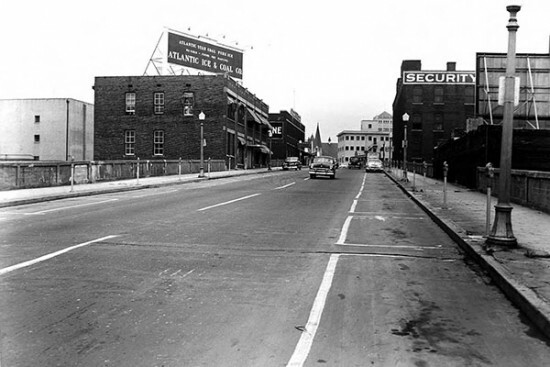 As this archival photo from the Georgia State University Library shows, the Courtland Street Bridge has been a bit of an eyesore in the city center since at least 1954. Courtland Street in 1954. Photo source. This image shows the way that Courtland could be divided up for the bridge rebuild. Thanks much to Katz for the info. The redesign certainly looks like it would — even if only for the length of the bridge — provide a huge improvement for people on foot and on bikes. 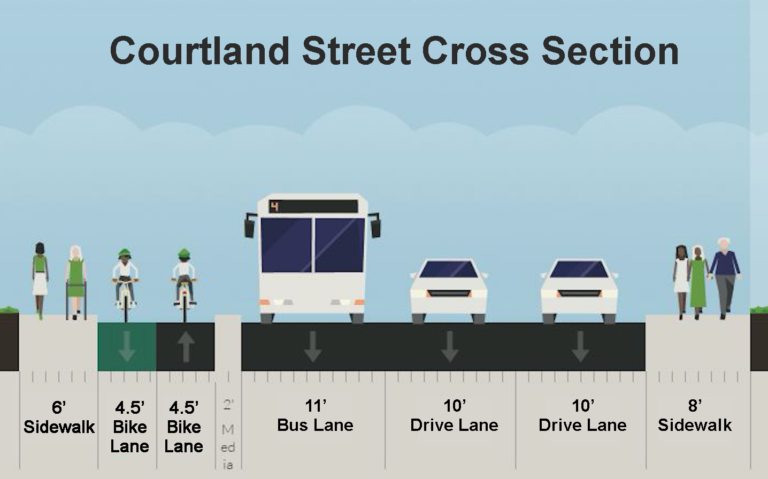 This may just be wishful thinking, but I can’t help but believe that improving Courtland’s bicycle and pedestrian infrastructure on this length of street could carry some weight with decisions to improve the rest of the street someday. The timeline for the design and the work is about a year and a half, from what I can tell from the GDOT document. By the way, this is not a state road; the DOT is involved with the project but it’s a city street. 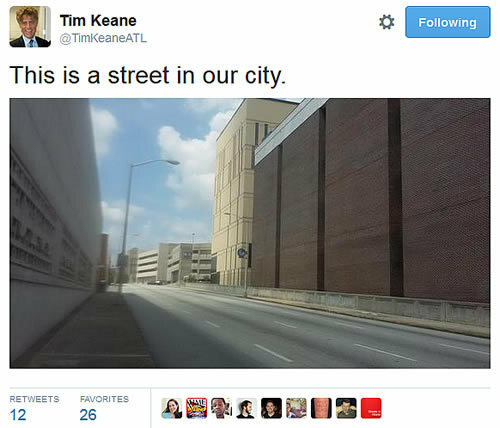 Next Next post: Inman Park intersection needs pedestrian-safety fix; could shared-street work?